CCS Web series noted by Uloop.com (February 23, 2016). Newsday cites “The American Hot Rod” exhibit (October 7, 2015). "The American Hot Rod" featured in the New York Times (August 22, 2015). Long Island Business News did a Q&A with Showcase founder David Jacobson, and video, too (June 30, 2015). CUToday reviews Collector Car Showcase (June 23, 2015). Newsday touts "Century of Speed" exhibition (June 21, 2015). News12 Long Island featured the Collector Car Showcase (April 17, 2015). Muscle Car exhibit at Showcase highlighted in The New York Observer (March 24, 2015). 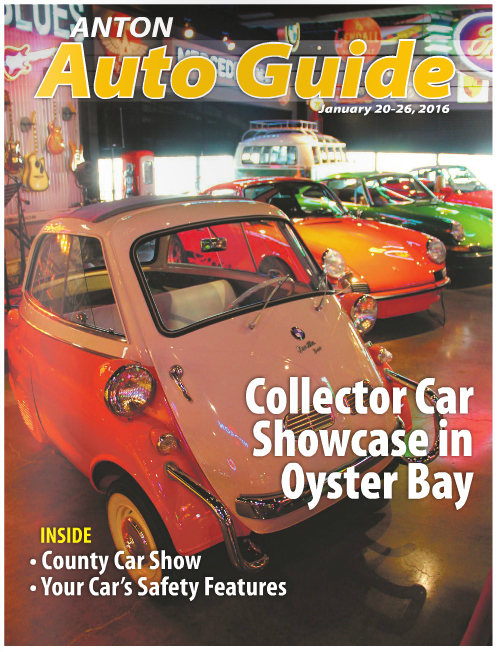 Newsday features Collector Car Showcase (February 24, 2015). O'Hara extols returning to roots in Credit Union Times (August 20, 2014). O'Hara comments on trends in auto lending in Credit Union Times (April 30, 2014). David Jacobson opines on whether (or not) auto leasing is for you with Aubre Andrus of CUNA (April 28, 2014). CU Xpress partners with NJ CU, reports The Record (December 12, 2013). Credit Union Times reports the GrooveCar launch of a mobile site (November 7, 2013). GrooveCar CEO tells CUBroadcast.com's Mike Lawson that credit unions need to be in auto leasing (August 21, 2013). CU Xpress Lease says nationwide leasing on the incline in Auto Remarketing (June 20, 2013). Long Island Business News features GrooveCar executive (April 30, 2013). GrooveCar executive comments on the technology of driverless cars with Loans.org (March 26, 2013). GrooveCar helped raise monies at concert for Island Harvest, opines Long Island Report (September 28, 2011). David Levy Says Interest Rate Hikes and Financial Stability on Collision Course (June 28, 2017). Australia is close to recession, Levy opines in the Sydney Morning Herald (June 16, 2017). Levy discusses US bond demand with CBS MoneyWatch (June 13, 2017). David Levy Says Profits Will Flatten as Fed Tightens in 2017 (May 24, 2017). Levy director of research Thiruvadanthai discusses the Fed dilemma, high yield bonds and other timely topics on Bloomberg Radio (May 17, 2017). David Levy says Q1 earnings and growth likely to surprise markets on upside (April 28, 2017). Balance Sheets are too large relative to incomes, Levy tells Bloomberg Radio (January 25. 2017). Levy opines on the "Trump Bump" to the US economy with MarketWatch.com (November 28, 2016). David Levy cited in CFO cover story on the Presidential campaign (October 2016). David Levy explains on Bloomberg Radio why asset valuations are vulnerable to any Fed rate hikes (September 21, 2016). Wall Street Journal's Paul Vigna cites Srinivas Thiruvadanthai on rate hikes (September 20, 2016). The Canadian Business Journal cites the summer Levy Forecast (August 2, 2016). Levy discusses America’s profit problem with Bloomberg Television (June 7, 2016). Levy talks mild weather with Institutional Investor readers (April 14, 2016). Economist Robert King discusses Q1 growth with CBS MoneyWatch (April 8, 2016). Levy opines on weather and economy in Barron's (March 19, 2016). Levy talks recession with Bloomberg News (March 1, 2016). Senior Economist Robert King talks growth concerns with CBS News (February 22, 2016). Secular economic breakdown awaits, Levy tells The Cayman Islands Journal (February 2, 2016). Levy on employment data in The New York Times (January 18, 2016). Levy describes in Institutional Investor why the decline in U.S. profits signals a looming recession (December 28, 2015). Will the U.S. economy slip into recession in 2016? CBS News asks David Levy (December 23, 2015). Levy economist challenges Janet Yellen on TheStreet.com (December 3, 2015). Levy reiterates recessionary call with Bloomberg News (November 11, 2015). Levy on China with CBS Moneywatch (October 26, 2015). Chances of Fed Rate Hike in 2015 Lessen, Voice of America (October 23, 2015). The Wall Street Journal's take on the Levy global economy forecast (September 18, 2015). Barron's offers comment on a Fortune story citing David Levy (September 17, 2015). Levy talks profits perspective with Fortune (September 17, 2015). Raising interest rates will be hard, Levy tells American Banker readers (August 11, 2015). Levy Says Neither Greece nor China Changes Global Picture (July 28, 2015). Levy economist talks Fed rates with Yahoo! Finance (May 7, 2015). Srinivas Thiruvadanthai opines on the Fed chairman's stock comments with Reuters TV (May 6, 2015). Srinivas Thiruvadanthai talks about the global economy with TheStreet.com’s Gregg Greenberg (February 26, 2015). The Global Economy Needs a New Growth Engine, noted David Levy in this Wall Street Journal Blog (November 26, 2014). Levy tells Fox News’ David Asman about recession possibility (November 12, 2014). 65% of recession ahead, Levy tells Bloomberg News (November 10, 2014). Levy offers a case for a 2015 global recession with Fortune (October 28, 2014). New recession imminent, Levy tells Institutional Investor (October 8, 2014). Levy discusses Fed meeting in Jackson Hole with Paula Schaap of The Deal and TheStreet (August 21, 2014). Levy discusses 2015 scenario with Lauren Lyster on Yahoo! Finance (August 5, 2014). Unconventional Wisdom" column on emerging markets by David Levy in Institutional Investor (June 2014). David Levy offers economic predictions with Reuters TV (June 10, 2014). The Fed Won’t Raise Rates, argues David Levy on Bloomberg Television’s “Taking Stock” (April 30, 2014). US Economic Outlook "Fairly Benign", Levy tells Bloomberg TV (September 26, 2013). Srinivas Thiruvadanthai tells Jessica Menton at IBTimes TV where corporate profits are headed (August 23, 2013). Srinivas Thiruvadanthai talks tapering with TheStreet.com (August 22, 2013). Yields are unsustainable, Levy notes in a Reuters column filed by James Saft (July 16, 2013). Levy discusses Asia happenings with TheStreet.com (May 23, 2013). US economy stick in second gear, Levy tells Yahoo Finance "The Daily Ticker" (January 11, 2013). Levy chimes in on economic prospects with Bloomberg News (December 6, 2012). Levy economist debates whether the Federal Reserve has done enough on Bloomberg TV (June 20, 2012). Levy talks ECB and Euro-zone with Pimm Fox on Bloomberg TV's "Taking Stock" program (June 6, 2012). David Levy opines on a pending recession with Aaron Task on Yahoo! Finance's "The Daily Ticker" (June 6, 2012). David Levy talks GDP with Fred Katayama of Reuters Insider TV (April 27, 2012). Levy discusses Eurozone problems at The Deal Economy 2012 conference in New York City that aired on December 9, 2011. David Levy DVD created to showcase him as a speaker. Srinivas Thiruvadanthai tells Forbes´ Agustino Fontevecchia that QE (quantitative easing) failed on every front (August 18, 2011). Levy talks deficit with Reuters Insider TV (July 28, 2011). Levy appears on CNBC’s “Squawk on the Street” (June 15, 2011). BS, not Bull market, argues David Levy on CNBC’s “Smart Money” (September 14, 2010). Director of Research Srinivas Thiruvadanthai discusses housing trends on Reuters TV (August 25, 2010). Levy partner Srinivas Thiruvadanthai debated Roberton Williams of The Tax Policy Center on the Fox Business Network on August 10, 2010. Levy argues for deflation versus inflation in a debate on the US economic recovery in the January 13, 2010 McKinsey & Co. e-magazine "What Matters". Alan Abelson cites the Levys on the deficits being experienced by states in his Barron’s column (July 4, 2009). Levy says recession has not bottomed out on CNBC's "The Call" (April 15, 2009). Silver Supply Expected to Decline While Usage Grows, Krebs Says in a Bloomberg Radio interview (May 11, 2017). Solar demand provides much needed spark for silver, reports the Australian Financial Review (May 11, 2017). 2017 World Silver Survey findings announced (May 11, 2017). World Silver Survey reported in The Wall Street Journal (May 6, 2015). MarketWatch.com reports on the 2015 World Silver Survey (May 6, 2015). Gregg Greenberg of TheStreet on the 2015 World Silver Survey (May 6, 2015). World Silver Survey in depth by Kitco News (May 14, 2014). Physical silver demand hits record high, reports Reuters (May 14, 2014). Retail investors back silver despite price drop, reports the Financial Times (May 14, 2014). Kitco Video News on silver survey (April 25, 2013). Global media (including Firstpost, The Globe and Mail, The Economic Times, The Wall Street Journal, Forbes, Financial Times, Mineweb, and International Business Times) has paid attention to the World Silver Survey announcement in New York City (April 19, 2012). World Silver Survey findings (April 19, 2012). The World Silver Survey 2009 was released May 13, 2009 in New York City. The World Silver Survey 2004 was announced in New York City on May 13. It encompasses the most comprehensive global research effort for the precious metal and is considered to be the most definitive such study. Investor relations is not an aberration or should not be in other parts of the world. When it comes to the investor relations practice in the United States for a non-American based company, many of the same rules and disciplines prevail. Download this white paper, which treats the subject matter in greater detail.